I’ve been terrible about updating this blog this year. I finally started my PhD in January and between a full-time job and trying to narrow down what my thesis is going to be all about, there hasn’t really been much time to think, let alone write any remotely cogent prose. They don’t tell you when you sign up for a PhD that the research proposal you are accepted on is not the end of the discussion when it comes to your thesis subject. I had blithely thought that the rather scattered idea I had pitched would be the broad base for my thesis. Um…no. After a couple of meetings with my supervisors, I’ve ended up refining my focus considerably, even changing tack quite considerably. At times I wondered how I had got to this point at alI, if there was such a distance between my initial research proposal and my finished research plan. You see, I still think like a writer – I see a research proposal as a pitch and in my mind, I had already completed the initial stages and was now ready to settle down to the research. But, as I keep discovering, academia is not the same as publishing. This is a good thing. The plan I now have for the thesis is so much stronger than the idea I had come up with over a few days in a panic at submitting an application for an actual doctorate. This research plan has an elegance and sophistication I’ve never managed to get into a synopsis and chapter plan for a publisher. I probably shouldn’t admit that, but the academic process is vastly different. If I had been writing it as a book I would have worked on the synopsis and chapter plan (containing much the same information I would put into a research plan) alone, in a mild panic as I tried to crystallise an idea that was still not quite ready to be formed. Whether you’re writing a synopsis or a chapter plan the problem is the same. It’s something you write at a very early stage in research. You write it before you know what problems, what discoveries you will make along the road, you write it with a skeleton idea, what you think is going to work. What comes out the other end is invariably a different beast. Obviously, in both cases, the idea you’re pitching is a solid one as it’s one that you know has the legs to become a book or your subject but any idea at the beginning of a project is a shadow of what it will become. As a writer, you go through the uncertainty and doubt alone. You must grapple with your idea until it is ready to present to the publisher – who will just throw it back at you if it’s not ready to go. In academia it’s different. It’s a far more collaborative, supportive process. That’s not to say it’s not still as frustrating as hell but I’m almost out the other side now so I can be benevolent. I like the fact that academic ideas are allowed to mature a little bit slower. I knew that taking on this PhD part time while I hold down a full-time job would be a balancing act and it is, but it is also difficult to get to know people. It’s difficult not to get isolated but I gather that’s the case however you do your doctorate and I’m reminded of the way writers seized on Twitter in the early days as a way of building a network of “co-workers” so they didn’t end up talking to their characters – a problem that can be an occupational hazard whether you write fiction or non-fiction. I’m taking every opportunity I can to meet fellow PhD students because there are certain things you just need to talk with peers about. Working alone you lose track of what is a neurotic tic and what is normal behaviour – for a bit of perspective you need a meeting of your peers. But to meet them takes a lot of planning. I’m extraordinarily lucky that I have a job that allows me the flexibility to work from college on days when I have meetings or seminars. To be honest, I don’t know how I’d manage this without that flexibility. I know some people do manage to do a PhD completely unrelated to their demanding day job but this is as full throttle as I can manage. So getting back to the purpose of this post. 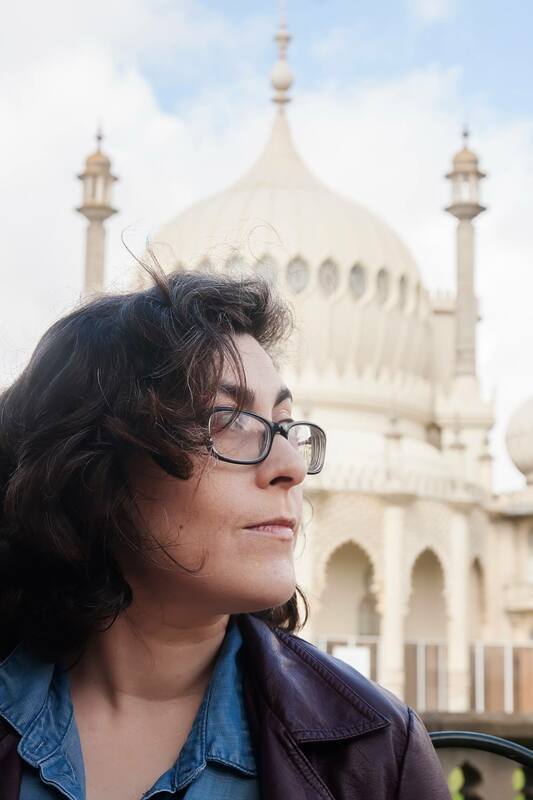 I’ve been pondering what on earth I’m going to do with this blog now I’ve an academic profile to build. I’ve built so many profiles on here in the past. But it occurs to me that actually, when you boil it all down, I’ve always stuck to the same thing. I have always written about my work, my research and the issues that I feel passionate about. Since my thesis looks at 19th-century court reporters in Ireland it’s unlikely regular readers will notice much difference. I’ll still be talking about journalism, writing and murder, but I will now be discussing matters that took place up to over a century ago. All I can do is share my experience. I’ll write about some of the cases I’m exploring and the way the papers covered them, I’ll also discuss wider issues like violence against women and social issues. I thought it was time for another look at real cases that have their echoes in classic films. Last time I wrote about lost Lon Chaney film London After Midnight and it’s connection to the rather tragic case of Julia Mangan, killed by the obviously disturbed Robert Williams. This time we’re sticking with a horror film but the story has more than a whiff of the supernatural – the link might be quite rather tenuous but I’m going with it. It’s a great film and the cases that echo through the story are fascinating ones. 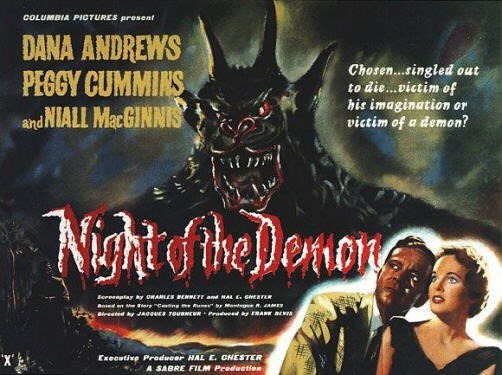 Night of the Demon was Jacques Tourneur’s version of the classic M.R. James short story Casting the Runes. Released in 1957 it tells the story of the sceptical psychologist played by Dana Andrews who comes up against the charismatically devilish Niall MacGinnis. It’s a tremendously creepy film that has all of James’ hallmarks – intellectual arrogance coming a cropper against older, darker forces – but for the contemporary audience it was a story that carried a particularly plausible shiver thanks to a couple of strange war time murders. Even though there’s no direct link, there’s a very good chance that screenwriters Charles Bennett and Hal. E. Chester were influenced by what they read about these cases when they were updating James’s earlier story. In 1943 four small boys were poaching in Hagley Woods near the village of Stourbridge in Worcestershire. They came across a large Wych Elm near Wychbury Hill and it was there they made a shocking discovery. Looking for birds nests they climbed the trunk and peered into the hollow. Below them was a human skull still with traces of hair attached. 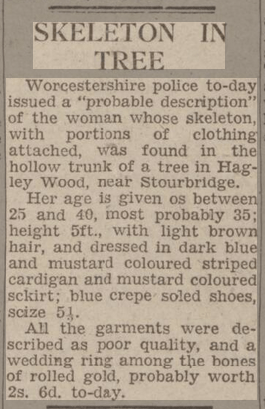 Local papers appealed for information about the identity of the deceased – a woman believed to be aged between 35 and 40. No one came forward to claim her. But someone didn’t want her to be forgotten. As the first anniversary of the discovery approached, the Sunday Mirror took up the story. The piece explained that shortly before Christmas the previous year the words “Who put Luebella down the wych elm?” were written in chalk on the wall of a house on Hayden Hill Road, Old Hill. The following week the words appeared again on the wall of an empty premises in Upper Dean Street, Birmingham. A few days later, the mysterious writer was obviously getting frustrated that no one was answering them so the words “Hagley Wood Bella” appeared several times near by. Bella has never been formally identified. One theory said she was part of a war time spy ring. The file remains open. 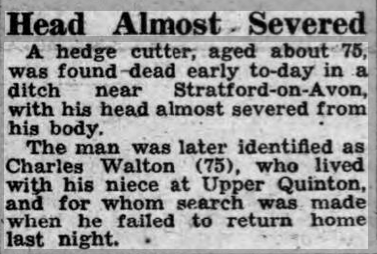 The following year a gruesome murder in nearby Warwickshire dredged up old suspicions and paranoia. On Valentines’ Day, 74-year-old hedge cutter Charles Walton was slashed to death near the village of Lower Quinton with a pitchfork and a slash hook. Initial reports such as this one from the Gloucestershire Citizen the following day made no mention of any supernatural link but that would soon change. However the case soon became synonymous with witchcraft, largely thanks to the later accounts of the famous Chief Inspector Robert Fabian, who arrived from Scotland Yard to investigate. In his 1950 memoir, Fabian of the Yard, he would write. Fabian suggested that the case had marked similarities with a murder that had happened nearby a generation ago, a murder where witchcraft actually had been a very real part of the story. It’s rather unlikely that the Walton case had anything to do with the occult even if it did make one hell of a good story. The earlier case on the other hand really did seem to arise from good old fashioned superstitious paranoia. 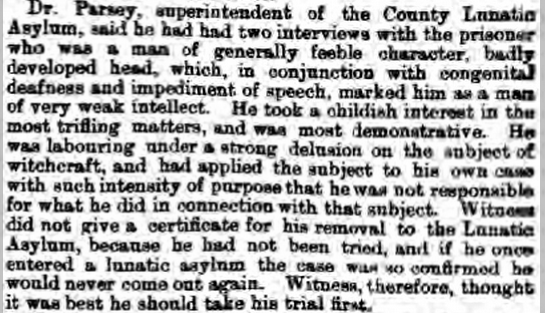 In December 1875, the the trial of James Haywood at the Warwickshire Assizes was covered by the Warwickshire Journal. All the witnesses described Haywood’s preoccupation with witches, leading to a brutal attack on elderly Ann Tennant, who he had attacked with a pitchfork and killed in the village of Long Compton. Haywood had apparently said that there were 15 or 16 witches in the village and that they were making it impossible for him to work. He said that he would kill them one by one. When the victim’s daughter took the stand, he got agitated in court. 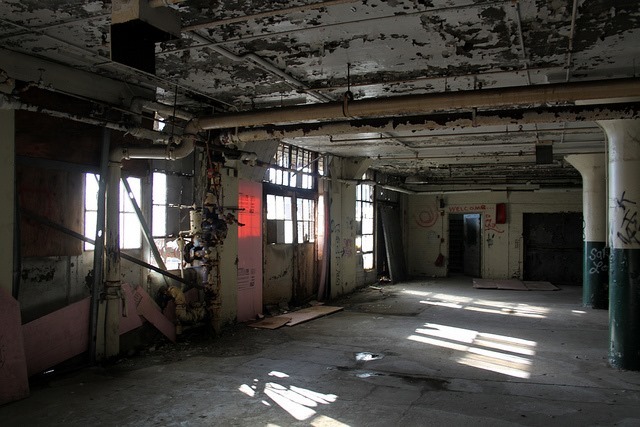 According to the superintendent of the county lunatic asylum Haywood was insane. It’s impossible to know how much influence these cases had on the writers of Night of the Demon but it is very reasonable to assume that they were were in the mix somewhere. Fabian’s memoires were adapted by the BBC in the 50s and the Lower Quinton case in particular was a notorious one. The film is a quintessentially English horror firmly rooted in a world where belief in witchcraft had never fully died out. In fact, in the 50s it was rather a fashionable subject. The founder of modern witchcraft, Gerald Gardiner, had published his book Witchcraft Today in 1954 and Hammer Films were helping horror films back into the spotlight after the war. These three cases undoubtedly formed part of the national psyche and have not lost their resonance today.